Our Natural Look Mineral Makeup is so versatile you can even use it to blend your own custom shades and colors! We are pleased to offer empty makeup pots with a sifter and clear windowed lid to help you mix, match and store your perfect blends. Each pot comes with a sifter and black lid with clear window. 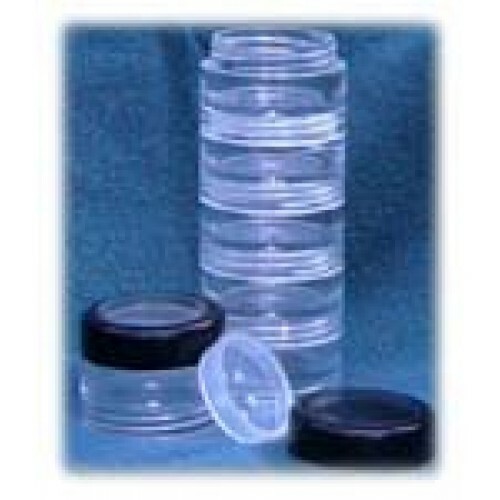 The 5 gram clear container holds 1 gram of mineral powders. We also offer a larger 30 gram makeup pot.